Do you want a SMOOOOOOOTH FADE IN / FADE OUT EFFECT? Get rid of that abrupt turn on & turn off of your LED lights. Imagine if your lights slowly increase in brightness when you turn them on, and slowly decrease in brightness when you turn them off. 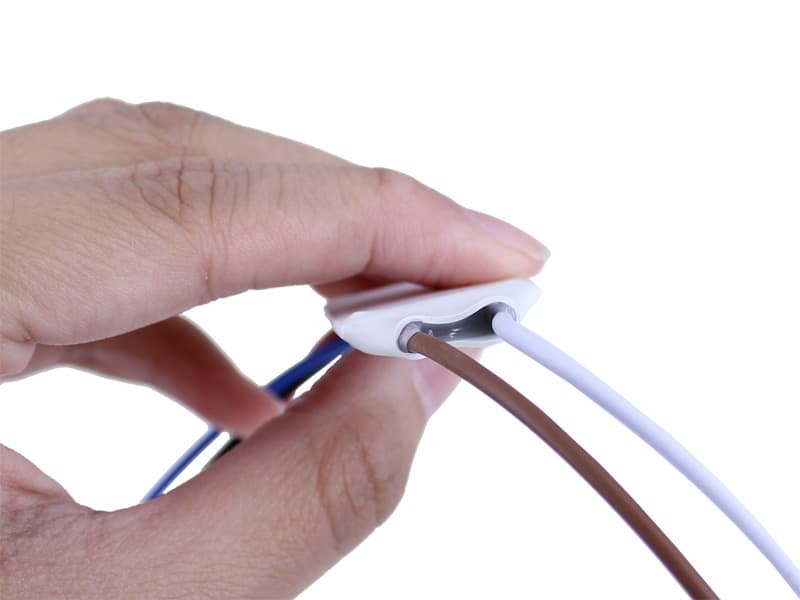 Its simple when you install this product between your power source and LEDs. 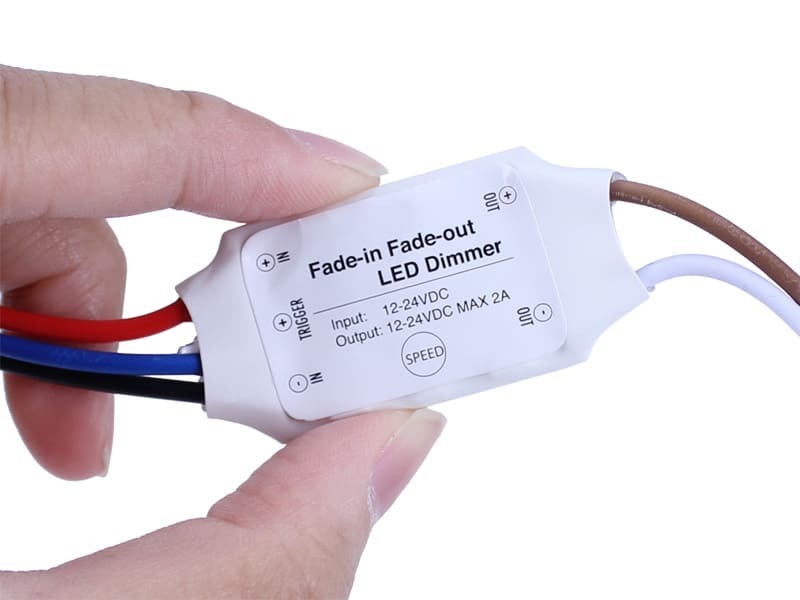 Get the effect you want: Fade-in, and fade-out; When you give a 12V trigger to the dimmer (or you can use pretty much any ON/OFF switch to trigger the dimmer), your LEDs will slowly start fading in. 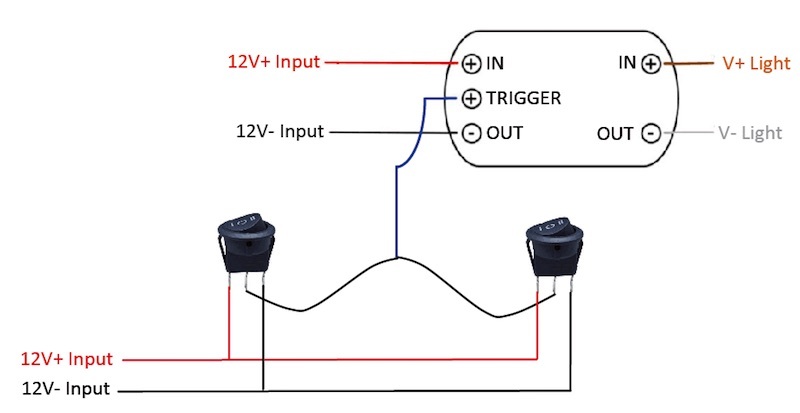 When the 12V trigger is disconnected, your LEDs will slowly fade out and then turn off. You can select one of 13 different speeds. The slowest is 19.5 seconds, and the fastest is 1.5 seconds. Simply press the "Speed" button on the dimmer to cycle the fading speeds from slow to fast (each press of the button will increase the speed by 1.5 seconds). LEDs will flash once to indicate the speed changed. 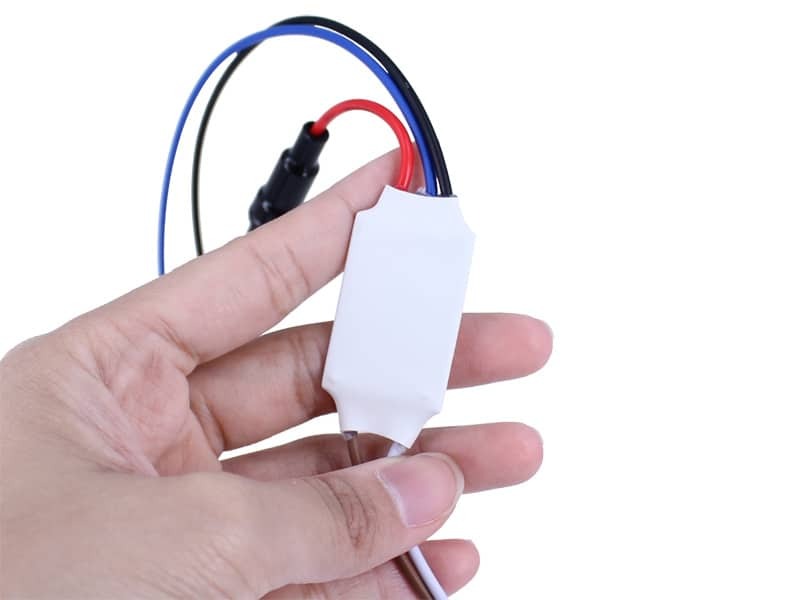 Compact and super thin design so you can easily install this dimmer in your car, home, or anywhere you can think of. 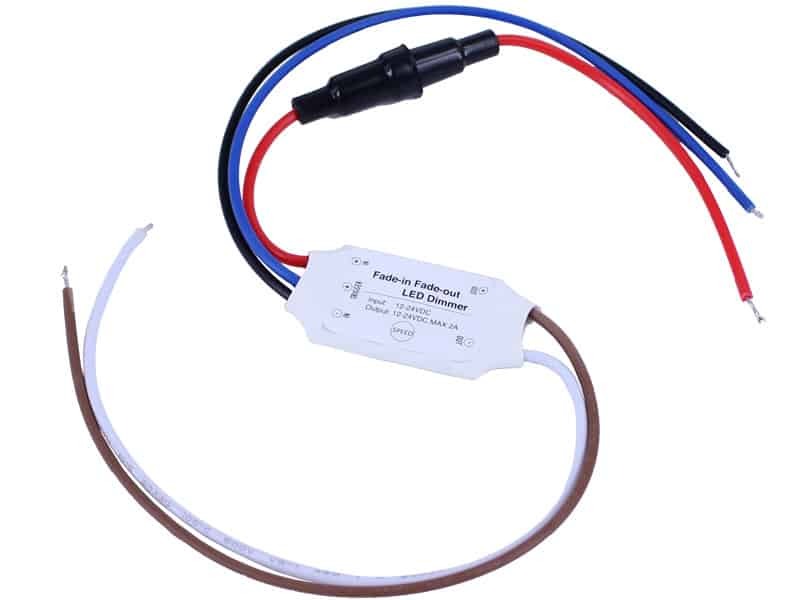 An inline 2 amp fuse is included for circuit protection. Each dimmer comes with an extra fuse in the package. Proudly designed and manufactured 100% in-house by Oznium. We ship worldwide from our Colorado warehouse. Slightly water resistant, but not waterproof. With a bit of silicone around the edges, you could probably make it more waterproof. Perfect for what im bulding, had a hassle connecting it (complete amateur), vids here helped thought! I'm in Australia & simply couldn't find a similar product as good as this one locally (or on eBay!). So I ended up ordering two of these from the US which arrived quickly. The units are very high quality & work extremely well. The only small issue I had was that this unit operates with a Positive voltage trigger but my car uses a Negative voltage trigger... So to achieve both fade-on / fade-off for my car's internal lighting, I had to add a 12v relay. No big deal & works brilliantly! As with the other reviewer, I too have hooked it up to a PIR sensor. Using 12v DC is so much easier than using the mains electricity (240v AC in the UK), and it allows me to use products from other countries. I've had to buy two, as the max ampage meant I could only power about 2m of LED strip lights, and I needed 4m. I've hooked up 2 of these (2m of LED per fader) plus PIR to the house entrance, so as you come in, it fades on, then when you leave the house, it fades out. Easy to use, instructions are easy to follow too. 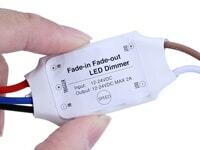 I got one of these fade-in-fade-out dimmers hooked up with a rotary dimmer and a PIR sensor - and it works great! The unit itself is tiny - you can easily use it in just about any circuit designs. The dimming effect really lives the LEDs that luxury feel - great for zone lighting. Some things I did notice though - before the LEDs fade in, they'll briefly flash at about 30% brightness for a split second. On slower settings, it takes a quite a while to for the LEDs to fade in and fade out (charging/discharging capacitors?). Not great if you want the LEDs to immediately start fading in when you hit the switch. I haven't yet figured out whether this is by design in this module or something to do with the circuit it's in. Otherwise a great little module that I will definitely be getting more for future projects!